In 2015, when Yair Ravid and Dan Mano co-founded Seegnature, they wanted to develop a user-friendly platform that had the capacity to allow customers to enable remote transaction business meetings. This was where the name Seegnature came from. At that time, the name was able to accurately capture what we were offering our users. But today, it has become only a fraction of what we do. Since then, we’ve made tremendous growth in our company and we have advanced significantly with our product to a point that it seems that this name no longer captures all of what we now have to offer. So, we turned back to the drawing boards to begin brainstorming what we could do to help our company name grow organically. We wanted to make changes coinciding with the constructive upgrades to our user platform. So, we thought of what our company offers today compared to before. Along with digital signing, we now also provide remote business meetings, ID verification, cooperative editing of documents, video chats, the ability to record these sessions and much more. I’m sure you can agree with us that the name Seegnature just doesn’t capture the essence of our platform any longer. We wondered what single word could define what we are now all about? What exactly is it that we offer our clients? An ability to reach people through a virtual platform. We wanted a name that wouldn’t limit us again in the future and would allow us to continue to expand our features. So we thought… and thought…and thought…but the answer was right under our noses all along. REACH! Isn’t it obvious? We give people the ability to reach other people instantly! (v.) to establish communication with; to stretch or extend so as to touch or meet. SEEGNATURE IS NOW OFFICIALLY CHANGING OVER TO REACH. We feel that we at REACH are breaking down the boundaries of distance by allowing you to feel like you’re sitting across the table from someone no matter how far away they really are. I’m sure you’re wondering, what does this all mean for me? Well, essentially we want to make this change as easy as possible to all of our users. Which is why we made sure that all website login usernames and passwords will remain the same for your convenience. It is important for us to remain transparent with our users and to be honest as to why we are making these changes to our company which is precisely why we wanted to fill you in. 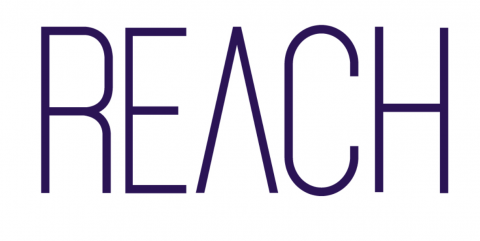 We at REACH, are very excited about the changes happening here and we believe that our new name will stimulate us to find new ways to help our community reach. If you have any questions that we didn’t quite answer, please don’t hesitate to contact us! We are always happy to hear from you. We will continue updating you with all future changes so you can expect to hear from us again soon. In the meantime, we hope your shift over to the new website goes swiftly!